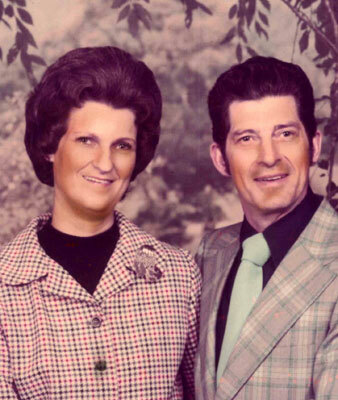 EMMA JEAN BARNHOUSE“Together Again” WESTERVILLE – Funeral services will be held at 11 a.m. on Thursday at the Struthers Church of Christ, 5775 Struthers Road in Struthers for Emma Jean Barnhouse, 81, formerly of Canfield, who died Friday morning at Mt. Carmel St. Ann’s Hospital in Westerville. Emma Jean was born July 18, 1934, in Athens, Ala., a daughter of the late Robert and Margaret McLemore Wilson, and came to this area as a child. She graduated from Greenford High School and was a teller for the Farmer’s National Bank in Canfield for over 20 years. She was a member of the Struthers Church of Christ and enjoyed attending church camp, the Northern Ohio Christian Youth Camp in Lisbon. Emma Jean had been the head cook at the church camp for senior week for 20 years. God and family was her life. Her husband, Howard H. Barnhouse, whom she married Feb. 19, 1953, died Dec. 23, 1982. She leaves three sons, Wayne Barnhouse of Dallas, Robert Barnhouse of Youngstown, and Terry Barnhouse of Westerville; and one daughter, Sonia Barnhouse of Westerville. Emma Jean also leaves three grandchildren, Stefanie (Brian) Allison, Steven (Sebrina) Barnhouse, and Sam Barnhouse; five great-grandchildren, Lexie, Aiden, Ethan, Evan and Emma; and two brothers, Mike (Cindy) Wilson of North Lima and Jeff Wilson of Boardman. Besides her parents and her husband, Emma Jean was preceded in death by a brother, Horace Wilson; and a sister, Barbara Myers. Please share your memories of Emma Jean.